Readers have long sung the praises of this classic comfortable, affordable heel, but the whole line gets good reviews if you’re looking for budget-friendly comfortable heels! Note that Amazon also sometimes carries the line. Not only does this brand have a great cushioning system, but many colors are available in multiple widths and extended sizes 4-13. Other contenders here: MICHAEL Michael Kors and Calvin Klein. We’re picturing all of the Sam Edelman heels in black, but you’ll be surprised by how many colors, prints, fabrics and textures they come in… Note that you can find them at Nordstrom, Zappos, Amazon, 6PM, Bloomingdale’s and Lord & Taylor. Clarks can definitely run on the funky side, but readers have always sworn by the brand for their intense cushioning system, and with the full price being under $125 (and frequent sales!) they’re definitely a great affordable option. A similar brand in this price point but not a lot of heels right now: Vionic. Don’t discount these brands just because they’re available in a mall — there are great options for style, particularly trendier things. Obviously, both brands are sold at Zappos; Naturalizer is also found at Nordstrom. The Aerosoles wedge pictured below (#2) is a best seller at Zappos and occasionally comes in fun prints; for example right now you can get a black leather upper with a leopard wedge. Naturalizer’s N5 Contour system is pretty great. They describe shoes with the system as offering extra cushioning, a breathable lining, balanced heel to toe, and flexible soles, and note that they are made with lightweight but durable materials. Franco Sarto is old on the scene, whereas 1.State is relatively new — still, both brands are worth checking out if you want things that are a bit more on the trendy, stylish side. Another brand to keep an eye on: Marc Fisher LTD — in particular, their block heel pump is hugely popular right now. Cole Haan Air was, for many years, the default comfortable heel for women getting started. It was a collaboration with Nike Air! The shoes were mostly affordable (generally under $300!) and super stylish! There have been some fits and starts in the years since the collaboration ended but they’re still going strong. Their bow pumps are still some of the brand’s best-sellers (there’s a waterproof version now 60% off at Nordstrom! ), and while Nordstrom doesn’t carry their classic 75mm heel anymore, Zappos does. The shoes pictured below are all under $200. 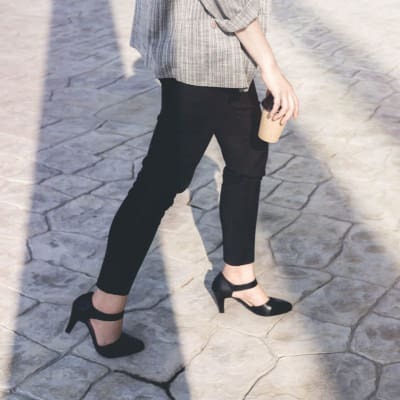 If you’re looking for a brand with extended sizes and widths, AND open to splurging on a heel that’s $500-$700 — it’s hard to find a more reliable “fancy comfortable heel.” Readers were just talking about how most female law partners they know wear Varas (pictured below) — and there are always seasonal colors and prints or sculptural heels if you want a bit more “fashion cred.” We haven’t updated our guide to designer shoes in a long while, but other brands on my radar for comfortable heels in this price range include Jimmy Choo, Miu Miu, and Aquazzura. How about you, readers? What are your top 10 most comfortable heel brands? Which ones do you swear by for style AND comfort, and which ones are just so comfortable that you’re willing to sacrifice style (and maybe use them for commuting shoes)? Stock photo credit: Fotolia / blacksalmon. THANK YOU a million times for this very specific rec…my duck feet appreciate you. I would love more brand recommendations for triangular feet/ bunion feet / narrow heel wide forefoot. So far, I am only comfortable in my custom Adams Boots shoes and my USA Dawg slippers. I have a lot of Sam Edelman and Franco Sarto and can vouch for their comfort level. Unfortunately, I bought a pair of Naturalizers that were low heel and cute for singing and they were so uncomfortable, I gave them away. My feet fell asleep! Okay guys, bear with me here. If you do write off a brand “because they’re available in a mall,” uh, where are your preferred brands available instead? Are they online-only? Are they in fancy schmancy stores that eschew malls in favor of … where? I always thought lah-di-dah brands were just sold in lah-di-dah malls. What’s up here? Yeah no clue. If I wanted to buy Ferragamo Varas I’d do that at the mall. Plus, Aerosoles are no longer available at malls – they closed down all their brick and mortar stores like a year ago and they’re online only now (and I guess at DSWs and the like, but not at their own branded stores). I agree with you. I think Kat meant “at the mall” as in small stores at the mall, like Nine West. But I have always objected to using the “mall” term this way, because, like you, fancy brands come from the fancy mall. I have really wide feet and am super sensitive to how things feel- I order on zappos a lot. It’s a little pricier, but you can filter by width and read people’s reviews. It’s also super easy to order & return (I do it for my shopping averse husband too when he needs new shoes). I also order mall brands online because of the sizing issues. Just bought a pair of heels shaped similarly to the ones in this post’s photo. The back of the shoe, at the top, rubs the back of my heel. The part that rubs isn’t just the inside though, it’s the top of that area too, which feels rigid against the flexibility of my heel skin (if that makes any sense). How do I remedy this? Also Bally. All I wear for court shoes. I really like Bandolino shoes. They are classic and professional and I can wear them all day. And they don’t cost a fortune. I also live in Franco Sarto. I have Bandolino booties from TJMaxx that I love and wear all the time. I bought the Edelman Hazel based on the many recs on this site. I have triangle-shaped feet with wide bunions and a narrow heel, and I wear heels only a few times per year. I found the Hazels to be comfortable to stand in for a 6-hour meet and greet, right out of the box. Very pleased with them. It pains me to say this, but Ivanka Trump pumps are super comfortable. I have three pairs that are about five years old and I refuse to replace them, but I will wear them for as long as they last…. Michael Kors also makes comfortable heels. For “mall” shoes, Nine West all the way. Ugh, me too re Ivanka Trump. I had a pair in regular rotation until I started working from home significantly more in 2016. The question then is who makes them for that brand??? Can they be purchased under a different brand name??? I went down this rabbit hole. Marc Fisher is not cut the same. I went with Kate Spade instead. I tried them and they are just not quite the same….sad face. If you have wide feet/aren’t good at heels- payless dexflex is so great (not terrible looking and not pricey either!). Definitely Sofft. I have a pair of pumps from about 10 years ago that are the perfect taupe pump from Ann Taylor. They no longer make them and I’m constantly scouring ebay for another pair. In the upper end of the scale, in my experience, Miu Miu shoes are SO uncomfortable. 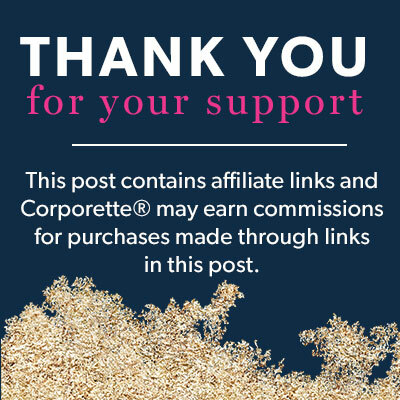 Comfortable are Louboutin Simple 70s, Manolos, and Jimmy Choo – if you buy them large. i find aquazurra pretty comfortable! Poppy Barley! Not a ton of selection but so comfortable. I am a dedicated fan of AGL’s pumps, purchased at Nordstrom. I can give plant tours in the block heels – comfort and quality. Also a fan of Jimmy Choo. I need a wide toebox due to bunions and my Prada pumps are tried and true – I’ve had them for years and they are amazing. I recently discovered Botkier and they’re also very comfy at reasonable price. I wear (very inexpensive) Anne Klein heels from DSW all the time and think they are as comfortable as flats. Thanks for this post. My dress shoes are getting so worn. I just ordered two pairs of Rockports. Both pairs were on sale and today they are having a buy one get one half off sale at Rockport.com, so I got both pairs under $80 total. I wouldn’t have thought of ordering from this brand otherwise. I hope they fit. I have narrow feet, which leaves me with very limited options. However it does require me to buy well constructed shoes. I like Naturalizer, Trotters and SoftWalks (their old liners were so much better). Your grandmother may have worn Trotters but they have gotten much more stylish in recent years. M Gemi is a good stepping stone as well between Cole Haan and Ferragamos. They’re along a similar price point as Cole Haan at full price, but aren’t on sale or discounted as often (can’t find them at Rack or Amazon). I’ve now bought three pairs and all are perfect straight out of the box. No blisters, no pain and fantastic quality. +1 for a post on shoes (especially heels) for wide feet & narrow heel. Incredibly annoying that the brands who do offer wide don’t carry them in-store, even in NYC flagship stores. 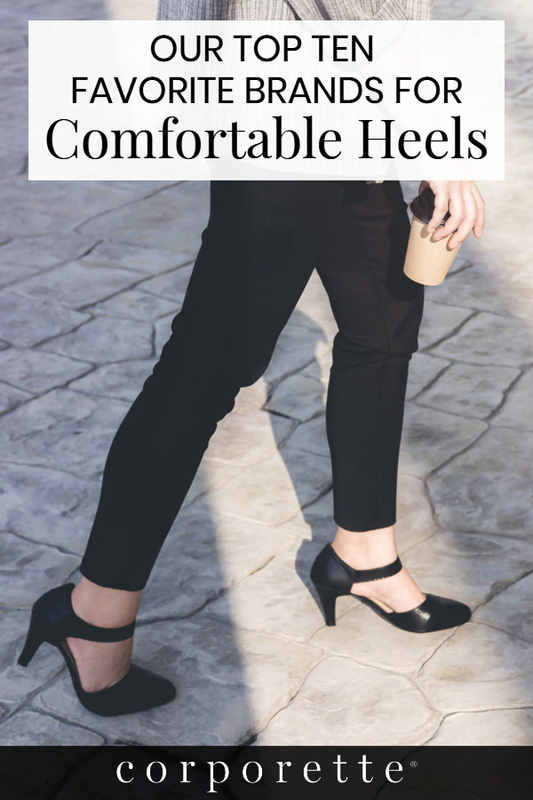 Killerheelscomfort.com sells inserts that I’ve found work really well for comfort/cushioning! Stops your foot from sliding forward and rebalances weight to heel. Wore unpadded 3.5″ sandal heels to a wedding and lasted 6 hours with lots of standing & dancing. I just started wearing heels again after time off for knee issues so my feet were used to cushy Cole Haan zeroGrands, not heels. Shoes of Prey might work for some wide/narrow. Well priced and great concept. Sadly, their toe box was too short for my long toes. Has anyone tried the Antonia Saint pumps?